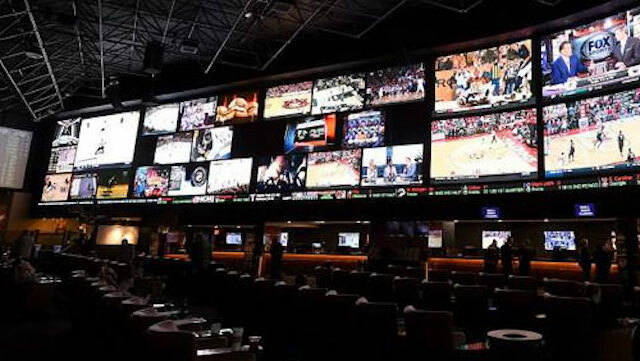 The post Indiana Signs on With Market Analysis Firm to Study Sports Betting appeared first on SportsHandle. Indiana lawmakers were unable to legalize sports betting during the legislative session earlier this year, but that doesn’t mean the state is doing nothing since the session ended. According to a report from The Statehouse File, the Indiana Gaming Commission in July signed a two-year deal with the market analysis firm Eilers & Krejcik Gaming LLC. Indiana regulators learned of the company through their counterparts in West Virginia, which passed a bill legalizing sports wagering in March. Indiana will pay Eilers & Krejcik nearly $75,000, according to the report, to conduct multiple studies related to sports wagering with the goal of providing legislators with financial and policy information needed to make any proposed legislation meaningful. Though the contract is for 24 months, though the company expects to provide some data to lawmakers as early as this fall. Indiana Was a First Mover in Terms of Pushing Sports Betting Legislation, But Didn’t Get a Bill Passed Before the 2018 Session Ended. Indiana was among the first states to start to begin exploring sports betting during the 2018 legislative session. In fact, Representative Alan Morrison (R-District 42) announced in January that he would introduce sports betting legislation during the session. He did so, as did senator Jon Ford, but both bills died in committee. Of note is that Morrison’s bill, which was introduced in early January, included the “integrity fee” that the major professional leagues favor. Indiana was the first state to use such language and the idea of paying the pro leagues a cut of sports betting revenue has evolved into a contentious issue across the U.S. The six states that have either legalized or rolled out sports betting (several states did not need new laws passed) have declined to pay the leagues. In addition, several states lambasted the pro leagues and the idea of the integrity fee, or royalty, as the leagues are now referring to it, earlier this year. So far, the only state in which lawmakers appear to be actively considering a royalty is New York. Indiana is home to about 14 casinos — mostly riverboats with land-based properties plus one Native American casino in South Bend. Indiana’s legislature goes back in session Jan. 14.